Indoor/Outdoor use. 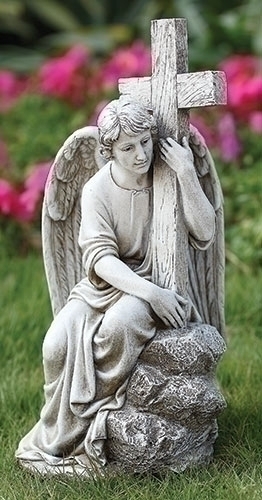 This male angel is depicted embracing the cross, displaying his love for our creator. Part of the popular Joseph Studio Collection. Popular inside and outside the Catholic Church, angels make the perfect gift for anyone in your circle of friends, family and other loved ones.